Mike Moeddel is a trusted advisor to senior executives and investors on key strategic transactions including mergers and acquisitions, private equity investments, equity and debt financing transactions and other commercial transactions. Mike’s clients include public and private companies, private equity funds and their portfolio companies, and financial investors. Mike has advised clients on international transactions throughout Western Europe, Eastern Europe, Africa, Australia, China and Southeast Asia among others. Mike also has significant experience working with a wide variety of technology based companies on executing their business objectives and growing their businesses. Mike’s experience and commitment to his clients has been recognized by leading legal publications. Since 2012 Mike has annually been recognized by The Best Lawyers in America. In 2018, he was named as their “Lawyer of the Year” in Cincinnati for Business Organizations. In 2014, he was named to The M&A Advisor 40 Under 40. 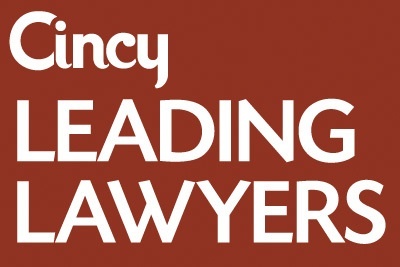 Since 2015 Cincy Magazine has annually named Mike a Cincy Leading Lawyer in the area of corporate law. Mike is also a former adjunct professor at the University of Cincinnati College of Law. 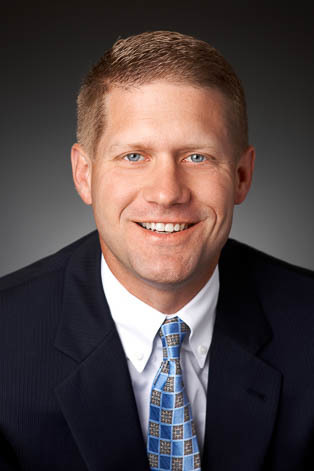 Mike has also been recognized as a leader by his peers at KMK and around Ohio. He serves as a co-leader of the firm’s Business Representation & Transactions Group and is the Chair of the Ohio Bar Association’s Corporate Law Committee which considers and recommends changes to the Ohio legislature to Ohio’s business entities statutes. Served as lead transaction counsel to Multi-Color Corporation in its $1.4 billion acquisition of the Labels Division of Constantia Flexibles, comprised of 23 manufacturing facilities in 14 countries. Represented Multi-Color Corporation in its public tender offer for 100% of a publicly traded Malaysian company. Represented Multi-Color Corporation in its $80 million acquisition of the decorative label business of Graphic Packaging International, Inc. Represented Jacobs Automation, Inc. in its various rounds of fund-raising and ultimate sale to Rockwell Automation for undisclosed consideration. Represented manufacturer of whole home audio systems, Nuvo Technologies, LLC, in its sale to Legrand Home Systems. Represented Blue Ash Therapeutics, LLC in its initial fundraising and ultimate sale to Forest Laboratories for undisclosed consideration. Represented Multi-Color Corporation in its $356 million acquisition of York Label. Represented Jewelry Television in its acquisition of the U.S. assets of Gems TV. Represented owners of a closely-held business in the turbine engine component repair business in a sale to a private equity purchaser owned by The Carlyle Group, for undisclosed consideration. Negotiated $60 million investment of cash and assets in complex cross-border industry consolidation transaction. Lead transaction counsel representing publicly held company in $43 million cross-border acquisition of Canadian manufacturer of LED lighting displays. Representation of bank in divestiture of 13 branches, including approximately $750 million in deposits and $350 million in loans. Negotiated licensing of technology and related intellectual property from Fortune 100 company in sophisticated outsourcing transaction. Represented client in $10 million investment in ethanol production facility in exchange for subordinated debt and warrants. Served various roles in representation of Fortune 500 client in acquisitions ranging from $100,000 to $50 million. Representation of borrower in negotiation of $225 million senior secured acquisition financing. Negotiated joint venture agreement on behalf of diversified information technology company and Fortune 100 retailer. Served various roles representing institutional lenders in financing of acquisitions, accounts receivable, inventory, real estate, and auto lease portfolios.